In April, 2015 Morden Rotary Club agreed to donate £500 for the replacement of school uniforms for the children of Lyamungo Sinde Village in Tanzania. At a cost of just under £10 each we were able to commission 45 uniforms and to pay a village seamstress along with two of her helpers to make these uniforms (thus creating work within the village). This, as stated earlier (see Q1 report here) is in addition to CDN$600 donated by Ndenny Meakins of Saskatoon, Canada (but born in the village) whose donation kick-started the programme with 35 uniforms. In total we needed 115 so phase 3 is now in operation! 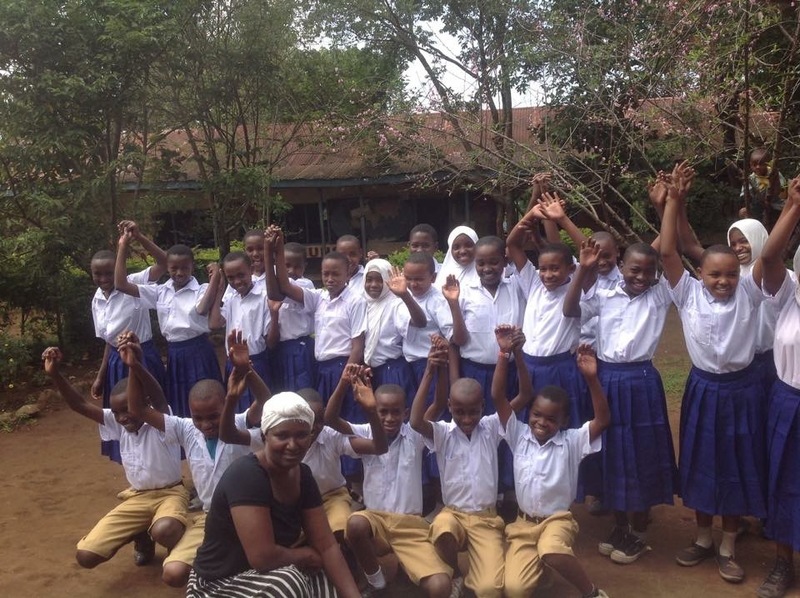 The first phase of the school uniform programme began on 12 May (thanks to Ndenny) with phase 2 (sponsored by Morden Rotary Club) delivered in the beginning of June. We are sponsoring phase 3 this year but are looking for further funding for next year (see this link to our Justgiving page) The uniforms are being distributed to the graduating classes of the primary schools firstly in honour of the children’s achievement at that level and secondly to allow the uniforms to be handed down to siblings or to others in the village. The latest school completed (Phase 2) is Mwowe Primary. Forms 4, 5 and 6 at ARI primary are at this moment being measured up for their uniforms. Although Ndenny kick-started the programme with uniforms for Lyamungo Sinde Primary, the Rotary Club of Morden’s donation will fulfill the need with Mwowe and ARI schools. Further to the ongoing uniform project, thanks to our workers in the village and to my good wife Stella, I have been in the UK since end April raising funds for next year’s projects. As well as uniforms and last year’s complete renewal of Lyamungo Sinde’s toilets, thanks again to Martha (see toilet progress here) I am now proposing the renewal and refurbishment of the kitchens at ARI Primary as well as industrial cleaning and renewal of the toilets. Both buildings are bordering on health hazards both for pupils and staff. 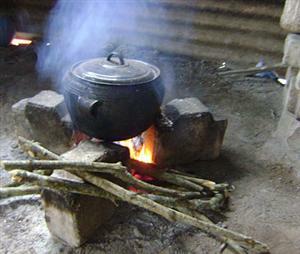 School kitchens in Tanzania, as in all of Africa I imagine, use the 3-stone fire method. This burns excessive wood and is usually enclosed in a wooden lean-to; a recipe for disaster! My idea is to replace these in all 3 schools with fuel efficient fires for cooking. These can be manufactured onsite or imported. Equally – the toilets, although basically sound suffer from serious termite damage in the roof beams and were never properly finished in the first place, so bare bricks and breezey holes in the walls! I have started a ‘Gofundme’ campaign here. It’s a great way to donate. All funds go directly in benefit to the ARI school project through me to my friendly ‘fundis’ – the teams that do the work here – thus creating village employment. Everyone benefits! Thank you to all donors. More soon.